Senior actor Rahman who was seen in several Telugu films had made banging comeback as lead actor with D-16 which went onto become a super hit in Tamil as well as Telugu. 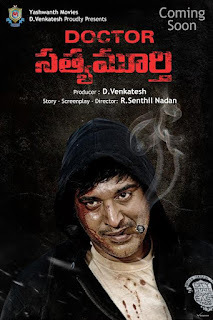 In fact, the crime thriller film was a much bigger hit in Telugu than the Telugu version and had also won critical accolades here. It provided fame and popularity to Rahman among Telugu audiences. Rahman was appreciated for his power-packed performance as a sincere police officer. Thus, there is enough of curiosity on his upcoming film. Rahman's recent Tamil blockbuster film is releasing in Telugu as 'Dr Satyamurthy'. D Venkatesh is releasing the Telugu version under Yaswanth Movies Banner. R Senthilnathan directed the film, besides penning story and screenplay. Currently, post production works are underway. Producer D Venkatesh has announced to release the film soon after completing all the works.